MOLI™: Document. Train. Communicate. Compete. MOLI™ is a Quality and Operations Assistant for Advanced Manufacturing. She helps you and your team train, assess, certify, document, and communicate — so you can make a quality product, pass your audits, and strengthen your company. Auditable, verifiable, on-the-job training and work instructions for parts, tasks, and procedures — including training verification and assessments. 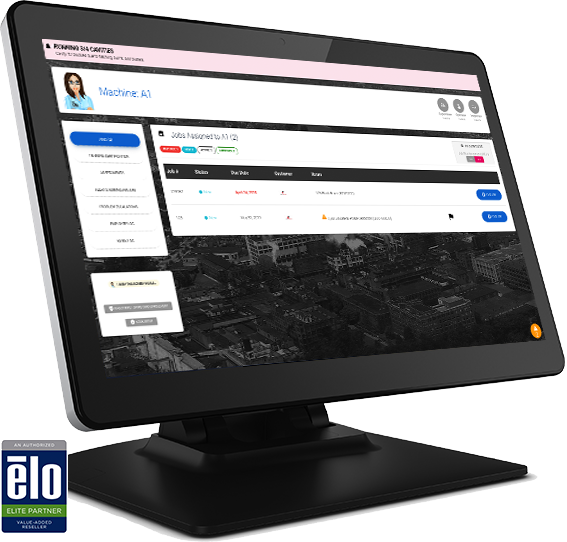 Replace your paper forms and manual data entry with touch-driven electronic forms that integrate with your existing ERP or Document Management System. Build a complete record of all Job information, changes, and actions that works for production and auditing. Immediate shop-floor notification of quality issues and other messaging. 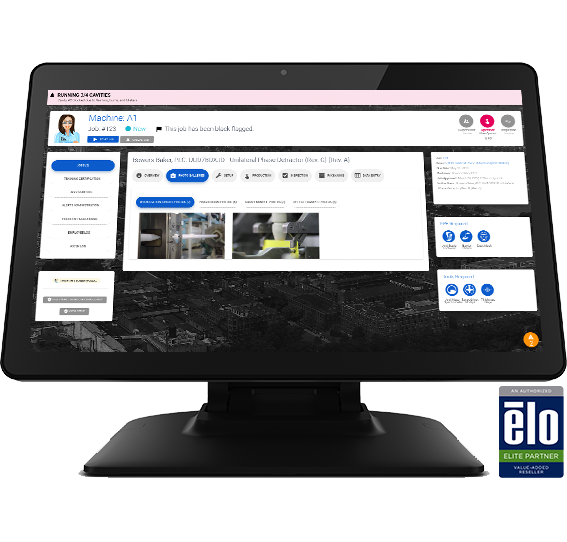 Empower operators to escalate issues to supervisors, with full resolution logging. With integrations available with many popular ERP and Document Management systems, MOLI enhances and solidifies your investment in the right tools. Partnerships with Elo Touch Solutions, Wasp Barcode Technologies, and Intel Corporation ensure reliable hardware integration. MOLI's compact Kiosk form-factor takes up less floor space than podiums, tables, and paper-based job travelers. Let's get together to discuss potential business return & feasibility — and whether or not MOLI's a good fit.